Arboretum Star was designed for the Robert Kaufman Fabric line Artisan Batiks: Arboretum 3. It would look stunning, however, in any color combination. 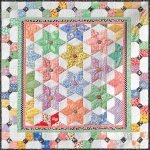 The quilt is assembled in pieced triangles which are sewn into vertical rows. There are no set-in seams. The tiny triangles are fused on and edge stitched in place prior to assembly. Cutting is made simple with the use of 60 degree diamond templates -- From Marti Michell 2-1/2" Strippers. 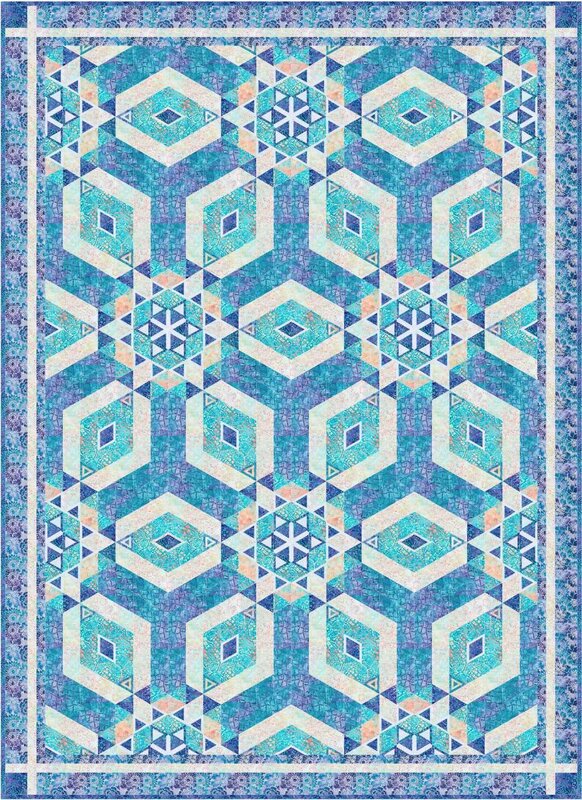 Use pre-cut Jelly Rolls or yardage to create this intricate looking quilt.